Directed by Michele McNeal, “The Comedy of Errors” is a Shakespearean play about two sets of identical twins who are separated at birth and find themselves in the same city. This leads to a variety of mix-ups and quirky mishaps as the twins attempt to figure out what’s going on. Tickets are $14 for adults, $12 for seniors/students and $10 for youth. The classic musical “The Sound of Music” will be hitting the Cuyahoga Falls High School stage in April. Come out to support students as they take you back in time. The hills are alive! Dr. Sketchy’s Anti-Art School is back again with Z, the Swashbucklin’ Rum-guzzler. Drink, eat and win prizes as you strengthen your drawing skills with a group of local artists. People of all skill levels are welcome, and admission is $10. Do you like coffee? Art? Well, look no further as Akron Coffee Roasters host a Coffees Around The World tour at the Akron Art Museum. Taste Colombian, Indonesian, Java and others paired with West Side Bakery sweets. Hurry and get your tickets before they’re gone. Members pay $6.27, while non-members pay $11.54. This large art and craft show will feature local artists of all kinds. Admission is $3. 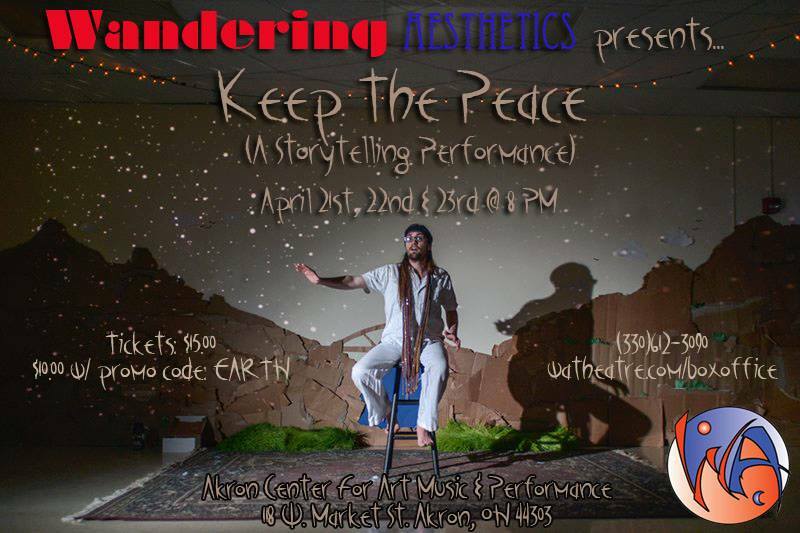 Kyle Jozsa, storyteller of Wandering Aesthetics, has a way of immersing his audience in the stories he tells. For Earth Day, check out his new batch of folktales from around the world. Each have a common thread as they explore both inner and outer peace. Tickets are $15. 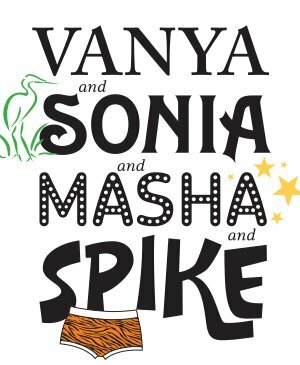 A comedy by Christopher Durang, “Vanya and Sonia and Masha and Spike” is about siblings and their ability to drive each other crazy. Winner of the 2013 Tony Awards’ Best Play, this is a “sunny new play about gloomy people.” It’s sure to leave you in stitches. Tickets are $22 for adults, $20 for seniors, $10 for children and $11 for college students that show their ID. Poets Sarah Holbrook and Kisha Nicole Foster will emcee a three-round poetry slam featuring poets who advanced in the eight qualifying rounds. This is their chance to join a team of other local poets. $5 donation suggested. 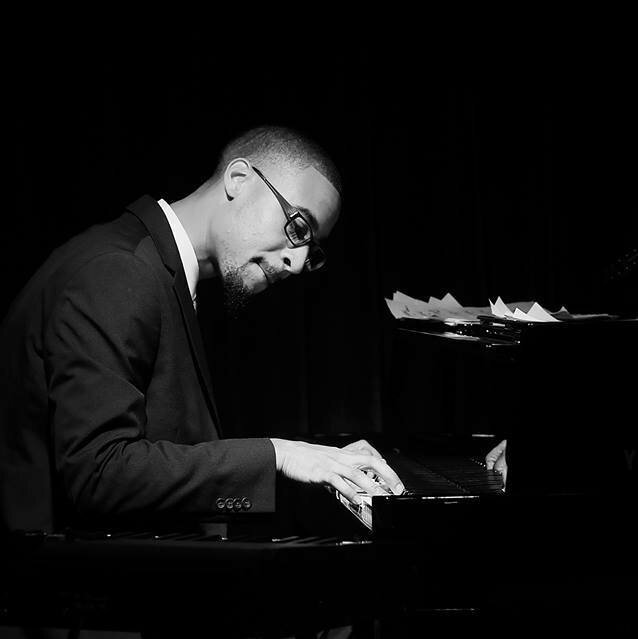 Local talent Theron Brown will have his film debut as Herbie Hancock in Don Cheadle’s “Miles Ahead.” The Nightlight and Blu Jazz+ partnered up to have a premiere and show package. Come see a movie and talk to the actors afterwards. Oddmall: Emporium of the Weird is back for another year. Come check out this two-day event that has everything from cosplay to artists to LARPers. Admission is free, and you’re sure to have a good time. Have you ever wanted to be an artist’s apprentice for a summer and earn $400? Well, here is your chance. Lock 3 is hosting their Summer Arts Experience which allows APS students (or those who live within the area) from ages 14-17 to work under an experienced artist for the summer. Subjects of interest include: Steel drums, fashion design, orchard fence sculpture, painted community cans, large mural painting and sculpture.